Old reads become new again! One of the best things that you can donate to your community would be your old books! Sure it might be hard to look at your precious book shelves and find tomes that you haven't looked at in years and know that you no longer have a use for (especially if you're like me and giving up books is like giving up your first born), but it's one of the best gifts that you can give a person. And when you donate previously enjoyed books, it's like you're giving somebody the gift of a whole new world to explore to lift them out of the norm of everyday life. What's better than that? Every penny helps! Why wait until the holidays to feel generous? If you've got some spare change that you can kick to your go-to charity of choice, whether it's a children's program or a church organization or whatever organization that is in need, now would be the time to do it! Looking for great causes is just a Google search away. Personally, my go-to charity at the moment is Indigo's Love of Reading fund, which is also what I work to get donations for while I'm working at the bookstore. It's a great cause, and what better time like the present? There are different charity organizations existing all over the world, so take a look around online or in your community for a cause that could use any size contribution. Donate your time! 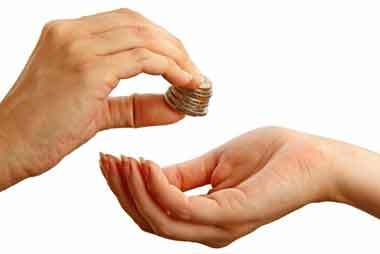 There's easily a way that you can help out your community without having to shell out a single coin, and that is to volunteer! Not only will you be lending others your time (and possibly earning some community service hours along the way if that's something you need), but you gain a deep sense of personal satisfaction from working as a volunteer. Myself, I have two volunteer jobs: I've worked at the gift shop at my local hospital since the 12th grade, and I am also an In-School Mentor for Big Brothers Big Sisters, which only takes up an hour each week, and I have a great deal of fun with that hour I get to spend with my mentee. Of course it's hard if you have a full-time job or a family to support to find the time to volunteer, but there are always efforts where you can chip in on a temporary basis instead of having to commit a certain number of hours each week or month. Now is the time of year where a lot of food banks will be running food drives, and closer to the holidays there will surely be a lot of toy drives being held in your area. Try and find a cause where you can pitch in for a few hours one weekend - your help will be greatly appreciated. 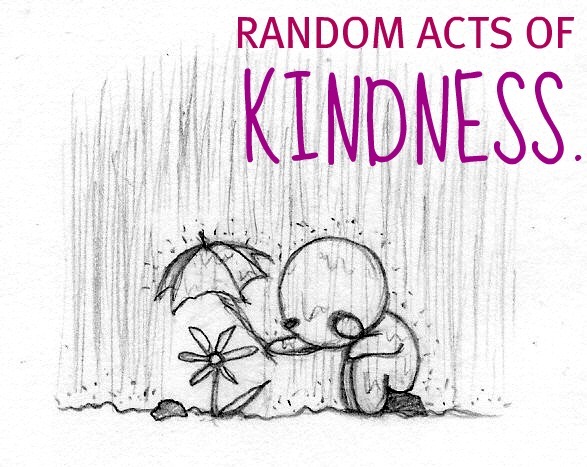 Again, I apologize for the delay in getting this post up - yes, I thoroughly blame the combined distraction efforts of homework and NaNoWriMo - I hope to be getting up the 5th and final post for my #RandomActsOfKindness project up by tomorrow. Don't forget to use #WrittenWordsRAK if you decide to take the advice of this or my previous RAK posts. Keep me posted!